La TC 125, costruita con gli stessi standard della sorella maggiore, è realizzata tenendo bene a mente massime performance e qualità. Un motore compatto e potente in combinazione con un telaio in acciaio al cromo-molibdeno molto leggero rendono la piccola moto da cross estremamente capace nelle mani di futuri piloti di MX2 e MX1. Grazie a forcella WP AER 48 di serie, frizione idraulica Magura e interruttore di mappatura, la TC 125 mantiene i suoi piloti un passo avanti nella competizione. Il cilindro vanta un alesaggio da 54 mm. Combinato con un design innovativo del controllo dello scarico, il motore da 125 cc esprime ogni singolo cavallo che il pistone rivestito in Teflon è in grado di fornire. Un processo di produzione a stampaggio ad alta pressione risulta in uno spessore delle pareti più sottile, contribuendo a mantenere il peso al minimo. Il logo storico Husqvarna decora le coperture dei basamenti rifinite in bronzo. L’albero motore realizzato per essere il più leggero e bilanciato possibile per ridurre le vibrazioni. Il componente è anche posizionato con precisione per garantire che qualunque inerzia creata dalla massa rotante abbia un effetto minimo sulla maneggevolezza. o un GP Germania trionfale per Antonio Cairoli (qui cronaca e classifiche). Il fuoriclasse sicialiano (otto titoli Mondiali!) ha sbancato sul tracciato di Teutschenthal incrementando il vantaggio in classifica: adesso sono 44 i punti di vantaggio sullo sloveno Tim Gajser (Honda) sceso in pista in condizioni non ottimali dopo la spaventosa caduta del sabato in qualifica. Partenza perfetta per la Tabella Rossa Pauls Jonass che viene immediatamente pressato dall’azione dei compagni di squadra Husqvarna Thomas Covington e Thomas Olsen. L’americano passa al comando al quarto passaggio ma dopo pochi secondi cade vanificando ogni sforzo profuso. Poco dop Olsen lo imita dopo aver sorpassato l’ufficiale KTM che si ritrova cosi ancora al comando al decimo passaggio. Benoit Paturel alza il ritmo negli ultimi passaggi e trova il varco a pochi minuti dallo scadere andando meritatamente a vincere la qualifica del sabato. Secondo posto per Pauls Jonass e terzo Jeremy Seewer autore di una lunga rimonta. Molto bene Michele Cervellin (quarto) finalmente in evidenza. Samuele Bernardini nono, Ivo Monticelli 13° ed il debuttante Morgan Lesiardo 22°. A recap from day one. Antonio Cairoli and Benoit Paturel romped to impressive victories during the two qualifying heats at the Grand Prix of Germany earlier today, but neither rider hogged headlines. Intriguing stories were rampant throughout each class, following some exciting racing, so there are plenty of talking points to cover. Cairoli won at this venue last year, in what was a dominant showing, and executed a similar ride on the battleground today. A methodical race saw him take advantage of a mistake from Tim Gajser and then manage his advantage over the rest of the pack. Things tightened up towards the end, however, as Jeffrey Herlings executed his new strategy. In interviews on MX Vice, Herlings has stated that he would like to mirror the way that Eli Tomac attacks a race. Rather than sprint in the early laps, like he would often do in the MX2 category, he would like to pounce whilst his competitors are beginning to tire at the end of an exhausting heat. If you take that into account, his lap times from the second half of the qualifying heat make perfect sense. We have laid it out for you below, which is much more convenient, but make note that Herlings also faced traffic during this period. There is one fault that Herlings still needs to correct though, unfortunately, and that is that he simply cannot start with his competitors. The way that he started in Latvia can be pushed to one side, as the layout there massively favours the inside and his jumps were mediocre at best each time. ‘84’ occupied the first gate again today, as you would expect, and then got swallowed up immediately. That will stop him making a dent in the deficit that he currently faces. A Monster Energy Yamaha Factory Racing battle raged on behind Gautier Paulin in third, which was most entertaining. It was just one year ago, at this very venue, that they squabbled on the starting line. Jeremy Van Horebeek rode an extremely defensive race, as Romain Febvre was chomping at his back wheel for the whole twenty-five-minute moto. It was Febvre who was undoubtedly the most impressive, as this was a return to the front for the former champion. Febvre has not been this close to the leader in quite some time and he looked comfortable whilst doing it, which has also been a problem. ‘461’ made significant setup changes in the week prior to this weekend and, based on today, they worked. Let’s not jump the gun just yet though. Those in the lower half of the top ten were stagnant for much of the heat and took advantage of that crash that Tim Gajser had to gain positions. Shall we cover that? It was obviously another odd one, but he will be ready to go tomorrow. ‘243’ had to get checked over the doctor following the race, as he hit his head, but everything is okay and he will be on the line tomorrow. Will he be able to cut into the seventeen-point deficit that he currently faces though? SpaceX is scheduled to launch its Dragon spacecraft for its eleventh commercial resupply mission to the International Space Station June 1 from NASA’s Kennedy Space Center’s historic pad 39A. Dragon will lift into orbit atop the Falcon 9 rocket carrying crew supplies, equipment and scientific research to crewmembers living aboard the station. Solar panels are an efficient way to generate power, but they can be delicate and large when used to power a spacecraft or satellites. They are often tightly stowed for launch and then must be unfolded when the spacecraft reaches orbit. The Roll-Out Solar Array (ROSA), is a solar panel concept that is lighter and stores more compactly for launch than the rigid solar panels currently in use. ROSA has solar cells on a flexible blanket and a framework that rolls out like a tape measure. The technology for ROSA is one of two new solar panel concepts that were developed by the Solar Electric Propulsion project, sponsored by NASA’s Space Technology Mission Directorate. The new solar panel concepts are intended to provide power to electric thrusters for use on NASA’s future space vehicles for operations near the Moon and for missions to Mars and beyond. They might also be used to power future satellites in Earth orbit, including more powerful commercial communications satellites. The demonstration of the deployment of ROSA on the space station is sponsored by the Air Force Research Laboratory. Neutron stars, the glowing cinders left behind when massive stars explode as supernovas, are the densest objects in the universe, and contain exotic states of matter that are impossible to replicate in any ground lab. These stars are called “pulsars” because of the unique way they emit light – in a beam similar to a lighthouse beacon. As the star spins, the light sweeps past us, making it appear as if the star is pulsing. The Neutron Star Interior Composition Explored (NICER) payload, affixed to the exterior of the space station, studies the physics of these stars, providing new insight into their nature and behavior. Neutron stars emit X-ray radiation, enabling the NICER technology to observe and record information about its structure, dynamics and energetics. In addition to studying the matter within the neutron stars, the payload also includes a technology demonstration called the Station Explorer for X-ray Timing and Navigation Technology (SEXTANT), which will help researchers to develop a pulsar-based, space navigation system. Pulsar navigation could work similarly to GPS on Earth, providing precise position for spacecraft throughout the solar system. When people and animals spend extended periods of time in space, they experience bone density loss, or osteoporosis. In-flight countermeasures, such as exercise, prevent it from getting worse, but there isn’t a therapy on Earth or in space that can restore bone that is already lost. The Systemic Therapy of NELL-1 for osteoporosis (Rodent Research-5) investigation tests a new drug that can both rebuild bone and block further bone loss, improving health for crew members. Exposure to microgravity creates a rapid change in bone health, similar to what happens in certain bone-wasting diseases, during extended bed rest and during the normal aging process. The results from this ISS National Laboratory-sponsored investigation build on previous research also supported by the National Institutes for Health and could lead to new drugs for treating bone density loss in millions of people on Earth. Exposure to reduced gravity environments can result in cardiovascular changes such as fluid shifts, changes in total blood volume, heartbeat and heart rhythm irregularities, and diminished aerobic capacity. The Fruit Fly Lab-02 study will use the fruit fly (Drosophila melanogaster) to better understand the underlying mechanisms responsible for the adverse effects of prolonged exposure to microgravity on the heart. Flies are smaller, with a well-known genetic make-up, and very rapid aging that make them good models for studying heart function. This experiment will help to develop a microgravity heart model in the fruit fly. Such a model could significantly advance the study of spaceflight effects on the cardiovascular system and facilitate the development of countermeasures to prevent the adverse effects of space travel on astronauts. Currently, the life-support systems aboard the space station require special equipment to separate liquids and gases. This technology utilizes rotating and moving parts that, if broken or otherwise compromised, could cause contamination aboard the station. The Capillary Structures investigation studies a new method of water recycling and carbon dioxide removal using structures designed in specific shapes to manage fluid and gas mixtures. As opposed to the expensive, machine-based processes currently in use aboard the station, the Capillary Structures equipment is made up of small, 3-D printed geometric shapes of varying sizes that clip into place. Using time lapse photography, on-ground research teams will observe how liquids evaporate from these capillary structures, testing the effectiveness of the varying parameters. Results from the investigation could lead to the development of new processes that are simple, trustworthy, and highly reliable in the case of an electrical failure or other malfunction. 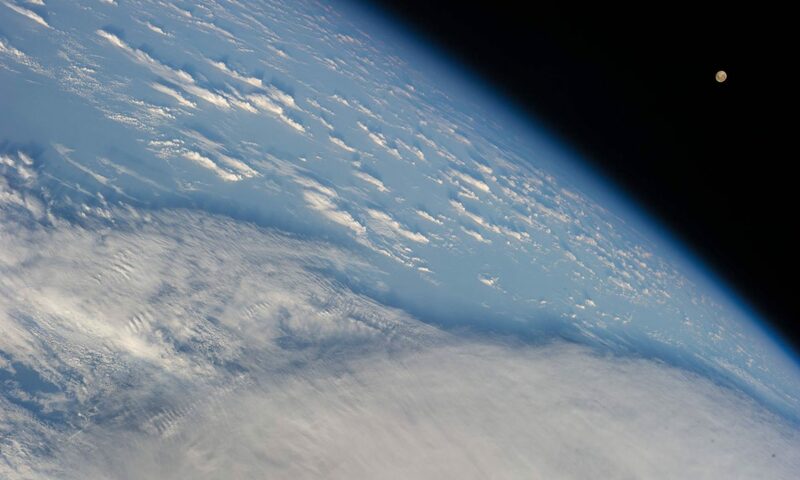 Orbiting approximately 250 miles above the Earth’s surface, the space station provides views of the Earth below like no other location can provide. The Multiple User System for Earth Sensing (MUSES) facility, developed by Teledyne Brown Engineering, hosts Earth-viewing instruments such as high-resolution digital cameras, hyperspectral imagers, and provides precision pointing and other accommodations. This National Lab-sponsored investigation can produce data to be used for maritime domain awareness, agricultural awareness, food security, disaster response, air quality, oil and gas exploration and fire detection. These investigations will join many other investigations currently happening aboard the space station. Follow @ISS_Research for more information about the science happening on station. Teutschenthal, ottavo appuntamento per il Mondiale di Motocross 2017. Dopo una settimana di pausa si torna in pista nel veloce e duro tracciato tedesco di Teutschenthal. Nella classe MXGP Antonio Cairoli guida la classifica mondiale con 17 punti di vantaggio su Tim Gajser che in Lettonia è stato protagonista di una violentissima caduta, fortunatamente senza gravi conseguenze. 4 tempi, fate bene attenzione: questa enduro potrebbe darvi molto filo da torcere. Se cerchi una coppia molto generosa in basso e sorprendente in alto, un telaio leggero e pronto ad alzarsi in qualsiasi occasione, prova questa saettante 300 cm³ a iniezione. Quando si parla di rapporto peso-potenza ottimale ed eccezionali prestazioni specifiche per l’enduro, a farla da padrone è il motore della nuova KTM 300 EXC TPI. Presenta una nuovissima iniezione elettronica TPI, che sarà un nuovo punto di riferimento nel segmento delle offroad a 2 tempi da competizione. Inoltre, grazie alla sua moderna architettura con componenti di fascia alta, come il motorino d’avviamento elettrico ben protetto, un nuovo cilindro con due iniettori e alberino di comando, un cambio enduro a 6 marce e una frizione DDS azionata idraulicamente, la KTM 300 EXC TPI sarà la scelta migliore quando il gioco si fa duro. Il nuovo cilindro della KTM 300 EXC TPI, con un alesaggio di 72 mm, è dotato di un sofisticato alberino di comando che fornisce una potenza davvero omogenea e controllabile. Per l’applicazione dell’iniezione elettronica, il nuovo cilindro presenta due cupole laterali che sostengono gli iniettori che immettono il carburante nei travasi posteriori. Lo spruzzo verso il basso degli iniettori garantisce l’eccellente nebulizzazione del carburante con l’aria spinta verso l’alto. Di conseguenza, si riduce la perdita di carburante non bruciato, ottenendo una combustione più efficiente e consumi ridotti. Un tubicino sul retro del cilindro è collegato a un sensore di pressione di aspirazione, che trasmette i dati sulla pressione alla centralina. Inoltre, grazie alle due molle in dotazione per l’alberino di comando è possibile cambiare l'”umore” della moto in pochi secondi. Impostazioni infinite in funzione dei tracciati e ampia scelta di preferenze. Per chi possiede una KTM EXC TPI, premiscelare il carburante per le 2 tempi sarà solo un ricordo. Una pompa elettronica immette l’olio nel sistema di aspirazione del motore, prelevandolo dal suo serbatoio e facendolo passare attraverso il corpo farfallato, e assicura la perfetta miscela olio-carburante in ogni condizione e a qualsiasi velocità. Questo sistema, che riduce il fumo in uscita dall’impianto di scarico fino al 50% rispetto ai modelli precedenti, è gestito dalla centralina sulla base dei giri del motore e del carico misurato dal TPS (sensore posizione farfalla). La capienza del serbatoio dell’olio, pari a circa 0,7 litri, è sufficiente per 5-6 rifornimenti di carburante: passerai meno tempo a controllare i livelli e più a guidare. Allo scopo di avere un’ottimale centralizzazione delle masse, i carter pressofusi leggeri mantengono l’albero della frizione e l’albero a gomiti in una posizione alta, vicino al baricentro. A tutto vantaggio di una migliore guidabilità. Inoltre, questa configurazione ha permesso di installare un controalbero di bilanciamento. Potrai così guidare rilassato senza sacrificare la velocità. Inoltre, il tuo nuovo motore preferito sembrerà sempre perfetto come il giorno in cui l’hai comprato: la superficie dalla struttura intelligente dei coperchi del motore riduce infatti l’usura causata dagli stivali. Puoi dire addio a piedi e mani intorpiditi. Il design del motore permette di installare un controalbero di bilanciamento laterale al fine di ridurre al minimo le vibrazioni. Sai bene cosa significa: più comfort, meno fatica, più relax. Il cambio Enduro a 6 marce presenta rapporti lunghi (wide-ratio) specifici per l’enduro e assicura un cambio preciso e agevole. Tenendo sempre a mente la sicurezza, l’evoluto design della leva del cambio “No Dirt” impedisce allo sporco di bloccare il giunto di snodo. Perché, anche chi ama lo sterrato, odia la terra quando si incastra nei posti sbagliati. La KTM 300 EXC TPI utilizza la frizione DDS (Damped Diaphragm Steel) sviluppata da KTM con campana d’acciaio antiusura, dischi estremamente resistenti alle alte temperature e nuove camicie in acciaio nitrato. Questo design intelligente è contraddistinto da una molla a diaframma al posto delle tradizionali molle elicoidali, semplificando notevolmente l’operazione di azionamento della frizione. La molla a diaframma lascia inoltre lo spazio sufficiente per integrare un sistema di smorzamento all’interno del mozzo della frizione, a garanzia della durevolezza e di una buona trazione. Questa frizione idraulica Brembo assicura facilità di azionamento e controllo preciso. I modelli TPI sono caratterizzati da una maggiore tensione dell’alternatore da 196 W (come nei fratelli EXC a 4 tempi) per rispondere ai requisiti del sistema di gestione del motore in termini di energia erogata. Il nuovo sistema di regolazione montato sul lato sinistro della testa di sterzo è ripreso dai modelli EXC-F. Le sofisticate pedane con soluzione “No Dirt” impediscono il bloccaggio dello snodo anche quando si è impantanati in solchi profondi. Le pedane dei modelli Enduro sono posizionate 6 mm più in alto rispetto alle versioni SX, a tutto vantaggio di una maggiore luce a terra. Ma sono intercambiabili a piacimento. The air filter box design offers maximum protection of the air filter against soiling, while ensuring maximum airflow. The EXC TPI models get a new intake snorkel designed for the new throttle body while also hosting an air temperature sensor. The large Twin Air air filter is mounted on a stiff cage, which at the same time holds the system in place. This design is so simple, you could still pop a fresh one in with a face full of mud. Without tools. In seconds. Una potente batteria agli ioni di litio eroga energia al motore e contribuisce alla leggerezza della moto. La batteria leggera e il cablaggio sono raccolti in un vano sopra la cassa filtro, per permettere al meccanico di rimuovere il telaietto posteriore senza essere ostacolato dalla parte elettronica. Perché un meccanico felice è anche un bravo meccanico. Gli ingegneri KTM indubbiamente sanno come trattare i manubri. Questo manubrio rastremato, realizzato da NEKEN in alluminio ad alta resistenza, è dotato di un gruppo acceleratore che ora ha un doppio cavo per i modelli EXC TPI proprio come per i fratelli a 4 tempi, con un nuovo corpo in alluminio con doppio cavo e una regolazione semplice in diverse posizioni. Sul lato destro, una manopola vulcanizzata, mentre su quello sinistro è montata una comoda manopola ODI tipo lock-on con collarino di serraggio che evita l’uso di fili o colla. Su tutti i modelli è possibile montare sul manubrio un interruttore di mappatura opzionale per selezionare una mappatura alternativa, in modo da essere pronti ad affrontare qualsiasi condizione. La divisione R&D di KTM, KISKA Design e i piloti ufficiali hanno partecipato alla definizione delle parti in plastica con un unico obiettivo: un’armonia completa tra pilota e moto. Ergonomia e punti di contatto perfetti offrono il massimo comfort di movimento in sella alla EXC. Le strutture I-beam dei parafanghi anteriore e posteriore garantiscono la massima stabilità e un peso contenuto grazie a una realizzazione e a un montaggio ben studiati. Inoltre, rimangono pulite più a lungo. L’intelligente instradamento del tubo del freno sul portanumero anteriore previene l’usura. La KTM 250 SX-F trionfa nel Campionato Mondiale MX2 ormai da diversi anni e ha appena aggiunto un altro titolo mondiale alla sua affollata vetrina dei trofei. Ma la cosa non sorprende. La combinazione di un motore potente e brillante con una ciclistica leggera e agile è destinata a far salire la KTM 250 SX-F su un podio dopo l’altro. Il motore della KTM 250 SX-F è noto per essere il più forte nei paddock MX2. Arriva in un attimo al limite dei 14.000 giri, ma non lesina coppia e potenza in abbondanza a qualsiasi regime. La sua architettura compatta contribuisce alla centralizzazione delle masse, aumentando la guidabilità della moto. Con un peso di soli 26,1 kg. Incluso il vantaggiosissimo motorino d’avviamento elettrico. Attraversando il triangolo del telaio, il collaudato sistema di raffreddamento KTM porta il liquido dalla testa cilindro direttamente ai radiatori WP in alluminio. Grazie alla circolazione interna a flusso ottimizzato e alla ventilazione dell’aria calcolata tramite CFD, il sistema vanta un’efficienza straordinaria. Inoltre, le nuove protezioni del radiatore offrono una migliore dissipazione del calore. Specialmente nel fango. Sono tra l’altro integrate nella parte anteriore degli spoiler, per proteggere i radiatori in caso di collisioni. I limiti di rumorosità imposti dalla FIM sono una vera sfida per tutti i costruttori. KTM ha dunque profuso un notevole impegno nello sviluppo dei suoi sistemi di scarico. Tutte le 4 tempi sono dotate di collettori di scarico con caratteristiche standard esclusive; una piccola camera di risonanza supplementare collegata al tubo. Tutte le 4 tempi sono dotate di un silenziatore corto, montato quanto più vicino possibile al motore. Sai bene cosa significa: più centralizzazione delle masse, migliore guidabilità. Il design interno all’avanguardia riduce il rumore abbastanza da rientrare comodamente nei limiti imposti, pur trasmettendo una sensazione da pelle d’oca. Il telaio in acciaio al cromo-molibdeno leggero e high-tech garantisce una grande maneggevolezza, una guidabilità in scioltezza, un comportamento preciso in curva e un’eccellente stabilità. Abbina inoltre la massima rigidità longitudinale ad una rigidità torsionale ottimizzata. Ne consegue un migliore assorbimento dell’energia creata dalle sospensioni anteriori e posteriori che dissipa in modo ottimale salti e affondi. In breve, più comfort e meno fatica per il pilota. Le leggere flange laterali in alluminio per l’attacco del motore (il collegamento tra la testa cilindro e il telaio) contribuiscono alla precisione di guida in curva e a ridurre il livello di vibrazioni. Gli ingegneri sono riusciti a ottenere questi risultati pur alleggerendo il telaio di oltre un chilogrammo rispetto al migliore concorrente sul mercato. Inoltre, la manutenzione e gli interventi sono più semplici e lo spazio più generoso per il serbatoio e altri componenti. La moto presenta anche un telaietto posteriore extra leggero in profilati in alluminio stabili, che fermano l’ago della bilancia sotto i 900 g.
L’ammortizzatore WP è stato sviluppato considerando l’architettura di tutto il telaio e del forcellone, nonché il leveraggio e la forcella anteriore WP AER 48. È costituito da componenti lavorati a macchina, neri anodizzati. Un prodotto di fascia alta rispetto alle vaschette più grezze. Una nuova regolazione in grado di infondere fiducia con migliori caratteristiche di smorzamento si abbina perfettamente al settaggio sull’anteriore. Gli sgargianti colori WP, inoltre, fanno capire a tutti che sai il fatto tuo per quanto riguarda la sospensione. La forcella superleggera WP AER 48 da 48 mm USD pneumatica è stata sviluppata da WP in stretta collaborazione con KTM ed è dotata di funzioni separate per ogni stelo. Le funzioni di smorzamento si trovano sul lato destro, mentre la molla ad aria è situata a sinistra. Lo stelo sinistro è dotato di un sistema a due camere con cartuccia ad aria incapsulata per impedire eventuali perdite di pressione. Se la tenuta esterna iniziasse a perdere, la pressione della cartuccia interna manterrebbe la moto nella giusta posizione. La molla ad aria può essere regolata in modo semplice in funzione del peso del pilota attraverso una singola valvola. Non sono richiesti attrezzi speciali; la pompa in dotazione è perfettamente idonea allo scopo. Lo stelo destro integra una cartuccia di smorzamento per soddisfare qualsiasi esigenza. Lo smorzamento può essere regolato per le condizioni della pista o in base alle preferenze del pilota semplicemente registrando una ghiera (compressione in alto, estensione in basso, ciascuna con 30 clic). Così come esce dal concessionario, questa forcella (con caratteristiche di smorzamento rinnovate) è più confortevole e sensibile che mai. Ma se vuoi puoi spremerla ancora di più.